Situated in a quiet road in Pringle Bay this new house is low maintenance and energy efficient, with energy saving down lights, Bosch Gas Heater, oven & gas hob. Downstairs offers 2 spacious well lit bedrooms with built in cupboards, 2 bathrooms of which one is en-suite. 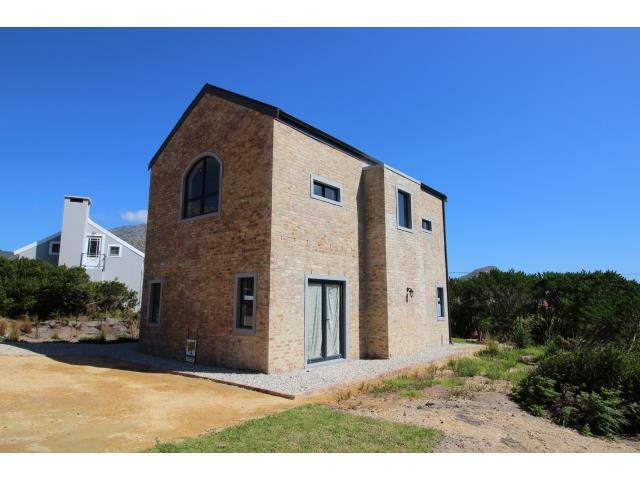 Upstairs large lounge and an open plan kitchen with floating island with lovely views of Pringle Bay mountains. Kitchen leads out onto the balcony perfect for entertaining with a built-in braai and distant sea-views. Added bonus the garage can be converted into a 3 bedroom with bathroom and glass exterior doors.